You may receive updates from Survived & Punished, the sponsor of this petition. Give Domestic Violence Survivor Kelly Ann Savage a Chance at Parole! Kelly Ann Savage is an incarcerated survivor of severe domestic and sexual violence by her former husband. In 1995, Kelly tried to escape with her children after receiving safety plan directives from a domestic violence crisis line. When Kelly's abusive husband, Mark, learned that she was trying to escape, he tragically killed her 3-year old son Justin. Despite all her efforts to survive and escape with her children, the prosecution blamed Kelly for not escaping sooner. The prosecution completely ignored the documented dangers associated with attempting to leave an abusive partner. Research shows that women who attempt to leave their abusive husbands are at a 70-75% higher risk of being killed by their batterers than those who stay. The jury in Kelly’s trial was prevented from hearing testimony from an expert in domestic violence who could explain that batterers escalate their violence when victims attempt to escape. Blocking crucial expert testimony prevented Kelly’s right to a fair trial. Her conviction rested on the prosecution exploiting myths and misconceptions of survivors of abuse. Kelly was convicted of first-degree murder for “aiding and abetting” her abusive husband, and sentenced to Life Without Possibility of Parole. Since her conviction, Kelly has received support from domestic violence victim advocates across California who strongly support her release. Join us in asking Governor Jerry Brown to commute Kelly’s sentence from Life Without Parole to a parole-eligible sentence. Kelly’s history of abuse began when she was less than four years old. She sustained a lifetime of rapes, beatings and other abuse by family members, acquaintances and two husbands. Kelly was a 22-year-old low-income mother of two at the time of her arrest. In the days before Justin’s murder, Kelly had been working with counselors at a domestic violence hotline to create a plan to leave her husband and secure the safety of her children and herself. Kelly followed all the advice given by the domestic violence hotline counselor, including paying the rent and bills, collecting the children’s birth certificates, and purchasing Greyhound bus tickets. Tragically, Mark discovered Kelly’s plan to escape with her children, and he fatally attacked her son. The trial evidence shows that Mark killed Justin in a classic case of “separation violence,” a phenomenon in which batterers escalate their violence toward victims who attempt to leave. Kelly mourns Justin every day and she continues to be devastated that she was unable to protect him from harm. As a victim of decades of physical, sexual and emotional abuse by a succession of people, Kelly did not fully understand Mark's abuse as extraordinary violence since nearly every man she knew abused her. Kelly has been incarcerated for the past 22 years and she is currently sentenced to die in prison. For the past twelve years Kelly has tried to get justice through the courts, but she continues to sit in prison without relief. Now is the time to ask the Governor to step in and commute Kelly’s sentence. In prison, Kelly has taken her healing and personal development seriously. She learned about trauma and cycles of abuse and trained to become a peer educator to support other victims of domestic violence. Kelly focuses on supporting others and improving her community. Kelly deserves the chance to show the Parole Board that she is fully prepared to reenter society. Please join us in asking Governor Jerry Brown to commute Kelly’s sentence. 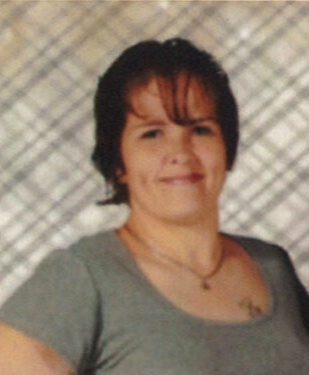 Kelly Ann Savage (W74119) is an incarcerated survivor of severe domestic and sexual violence by her former husband. In 1995, Kelly tried to escape with her children after receiving safety plan directives from a domestic violence crisis line. When Kelly's abusive husband learned that she was trying to escape, he tragically killed her 3-year old son Justin. Despite all her efforts to survive and escape with her children, the prosecution blamed Kelly for not escaping sooner, ignoring the documented dangers associated with attempting to leave an abusive partner. Research shows that women who attempt to leave their abusive husbands are at a 70-75% higher risk of being killed by their batterers than those who stay. The jury in Kelly’s trial was prevented from hearing testimony from an expert in domestic violence who could explain that batterers escalate their violence when victims attempt to escape. Blocking crucial expert testimony prevented Kelly’s right to a fair trial. Her conviction rested on the prosecution exploiting myths and misconceptions of survivors of abuse. Kelly was convicted of first-degree murder for “aiding and abetting” her abusive husband, and sentenced to Life Without Possibility of Parole. In 22 years in prison, Kelly has taken her healing and personal development seriously. She learned about trauma and cycles of abuse and trained to become a peer educator to support other victims of domestic violence. Kelly focuses on supporting others and improving her community. She works hard to raise money for people in need outside of prison, raising more than $9000 a year for a low-income school in Madera. Kelly is also one of few approved caregivers in a Comfort Care program, where she gives needed support to dying and incapacitated prisoners. In two decades in prison, Kelly only received one administrative disciplinary in her first year. We urge you to commute Kelly’s sentence. Kelly deserves the chance to show the Parole Board that she is fully prepared to reenter society.